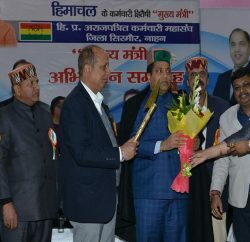 The Himachal Pradesh BJP termed Union Health and Family Welfare Minister Ghulam Nabi Azad announcement of opening two medical colleges at Nahan and Chamba politically motivated and claimed that Govt has not made any budgetary provision. 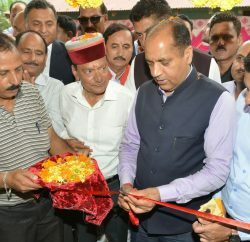 State BJP president Satpal Singh Satti, in his press communiqué, said that the UPA Govt hasn’t made any provision in its Budget and these announcements were only meant to mislead people of Chamba and Nahan for the forthcoming General Election. Satti also slammed Congress led state government for inaugurating the unfinished super-specialty block of Tanda medical college. He said that Govt has so far failed to equip hospital with modern technologies and even it has insufficient staff for heart and kidney units. BJP president believed that electorates will not be fooled with these populist announcements and will uproot Congress from the centre.